Pakistan is an Islamic Republic, meaning Islam is the official religion and laws are written to be consistent with its teachings. The state religion is central to the daily life in Pakistan; mosques are located in almost every neighbourhood and the call to prayer heard throughout urban areas five times a day. In the last census, 96.4% of Pakistanis identified as Muslim. While not all these people may practice Islam on a regular basis, the religion’s moral beliefs and tenets are widely recognised and respected. Sunni and Shi’a Islam are the two major Islamic sects practised in Pakistan. 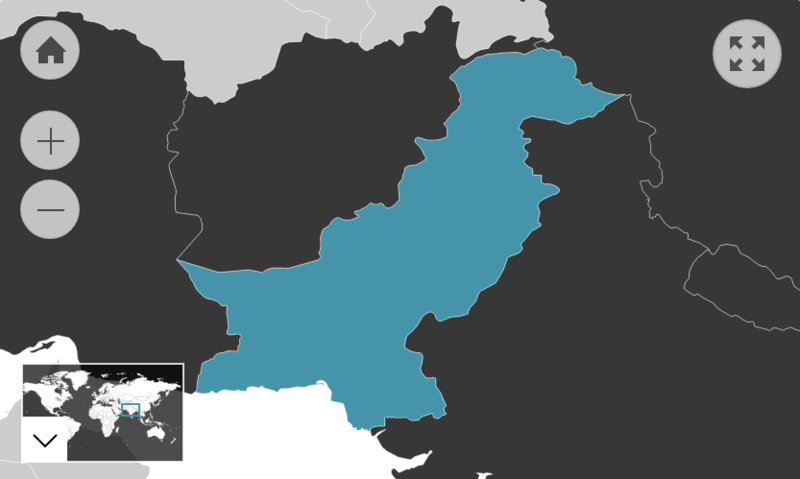 Pakistan is a Sunni majority country, with 76% of Pakistanis identifying as Sunni and 10-15% estimated to be Shi'ites (2010 est.). Both variations of Islam have many different religious schools that Pakistanis adhere to. Sufism is quite popular among both Sunni and Shi’a Muslims. The Sunni Ḥanafiyyah (Hanafite) school is the biggest in Pakistan. This school of thought generally takes an interpretation of Islam that is quite flexible. It leans away from the rigid interpretations, and places emphasis on human reason. Hanafi Islam tends to keep in mind traditional Islamic custom while acknowledging the context of the modern world. Interpretations of Islam and levels of conservatism vary throughout the country. Domestic and international political shifts have influenced an increase in the visibility of religious conservatism (for example, through how people dress and the numbers of mosque attendees). Reverence of Allah is also quite evident in the way some people speak; it is common to slip praise into casual conversation. However, many Pakistanis do not adhere to an orthodox understanding of the religion. For example, many Muslim women in Pakistan choose not to wear a hijab. The most common covering is a ‘dupatta’, which is a light cloth that is arranged over the head whilst still exposing most of the neck and some hair. It is estimated that 4% of Pakistanis belong to a non-Muslim religious minority. These include Christians, Hindus, Sikhs, Zoroastrians and Bahá’i. There are also minorities among Muslims, the most significant being the Ahmaddiyas who make up approximately 2.2% of the Muslim population. Under law, religious minorities are permitted to practise, profess and propagate their religion, and have equal rights to jobs, education and property. However, according to the International Religious Freedom Report 2007, “freedom of speech [in Pakistan] is also subject to any ‘reasonable’ restrictions in the interest of the ‘glory of Islam’”. Thus, while there is an assertion of religious freedom, in reality the government imposes limits and the Sunni clergy has a very strong influence. The census does not provide any official figures on minority Muslim sects and it is often argued that these minorities (such as Shi’as or Ahmadis) are not actually Muslim, but heretics of Islam. Religious minorities have been subject to social discrimination, harassment and religiously motivated attacks. Blasphemy laws have commonly been imposed in strategic ways that assert the political predominance of the ruling party. Often, publicly labelling someone as blasphemous is enough to jeopardise their social standing and safety without actually arresting them. Recent terrorist attacks in the country have targeted both Muslim and non-Muslim places of worship. This figure refers to the number of Australian residents that were born in Pakistan. Of those who speak a language other than English at home, 89.5% speak English fluently. Note: Arrivals up until 9 August 2016.